The long hot days of summer have arrived and it’s the perfect opportunity to break out the home bar – especially if you’re entertaining family and friends this holiday season. When it comes time for a few refreshing cocktails there are quick and easy recipes aplenty for any spirit-based tipple. Summer holidays are the time to sit back, relax and let the bitters do the talking. Gin is an essential summer spirit. Light, delicate and floral; adding bitters to gin cocktails highlights the drinks top notes. 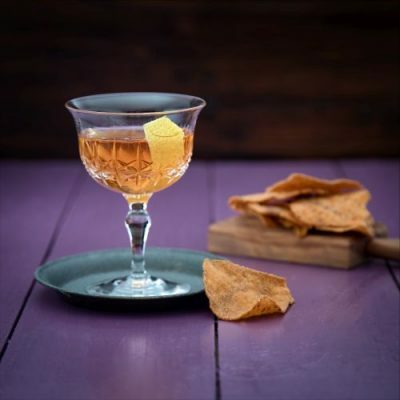 For instance, the renowned Gin & Tonic is a worldwide favourite that can be enhanced with just a few dashes of bitters – 30ml gin and 60ml tonic over ice, then add a few dashes of aromatic bitters to taste for a more profound flavour. Alternatively, gin lovers can give ‘the original’ two-ingredient Pink Gin classic a go. Splash a few drops of Angostura aromatic bitters into an Old Fashion glass, roll them around until the inside is coated, pour out the excess and pour in the gin… because good taste doesn’t need to be complicated. Generally clean and lean, adding a few splashes of bitters to vodka cocktails gives it a much more discernible flavour. A simple Vodka Martini, made of 60ml vodka and 22ml dry vermouth can be balanced nicely with an added dash of Angostura aromatic bitters. But, if your vodka loving guests are looking for something a little bit more complex try the Moscow Mule – a refreshing mix of vodka, ginger beer and lime with bitters, of course. Are you the kind of cocktail lover that enjoys a little more depth and richness to their drinks? The world’s most popular tequila-based cocktail – the Margarita – consists of 45ml tequila, 45ml fresh lime juice, 30ml simple syrup or triple sec and three dashes of bitters. However, if you’ve had a thousand Margarita’s before and want to try something a little different we have just the serve for you… the Tequila Old Fashioned. A three-ingredient cocktail usually made with whiskey or bourbon; the popular Old Fashioned gets a complete makeover with tequila – the perfect drink for making new memories. For those island-style summer drinks with a tropical element a good white rum is vital. Mojitos are loved by everyone – splash three dashes of Angostura aromatic bitters over 60ml white rum, 37ml simple syrup and club soda with muddled lime wedges and mint leaves. And if you’re after another simple yet sophisticated party drink recipe, the much-loved Daiquiri should be it. The traditional four-ingredient daiquiri can be made in batches and is among a list of classic cocktails enjoying a resto renaissance, making it a flawless summer sipper. With these few recipes in hand, when it comes time to prepare for those summer braai’s, pool-side parties and patio evenings being a home mixologist is a breeze and you’re sure to be ‘the hostess with the most-est’! For more information on the Angostura bitters range visit www.angosturabitters.com. For more information on the official House of Angostura Cocktail app with over eighty tried and tested cocktail recipes, featured drink trends and bartending tips visit http://angosturabitters.com/app/ – available for iPhone from the Apple App Store and for Android devices from the Google Play Store. Follow Angostura South Africa on Facebook /Angostura South Africa and Instagram @AngosturaZA for fun facts, recipes and brand updates.